Yesterfood : Jumpstart Your Holiday Shopping $300 Giveaway! 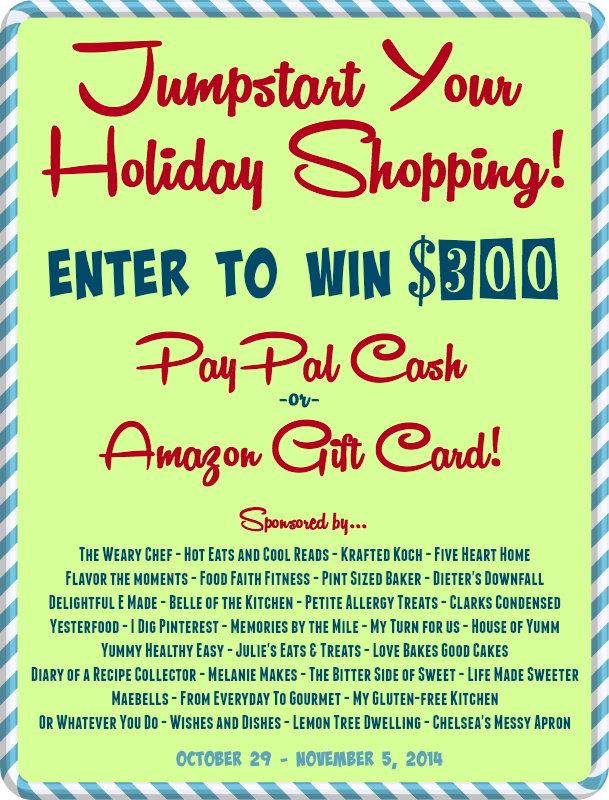 Jumpstart Your Holiday Shopping $300 Giveaway! We are very excited to bring you this fun CASH giveaway! Win $300 in PayPal CASH or on an Amazon Gift Card- your choice! What a great giveaway. I entered and LIKED all the Facebook pages.